Loads of you have probably driven through the Loggerheads gap in the Clwyds on your way to Coed y Brenin, but it’s about time you stopped. Spreading out either side is a stunning, normally deserted network of untamed trails and quiet roads. 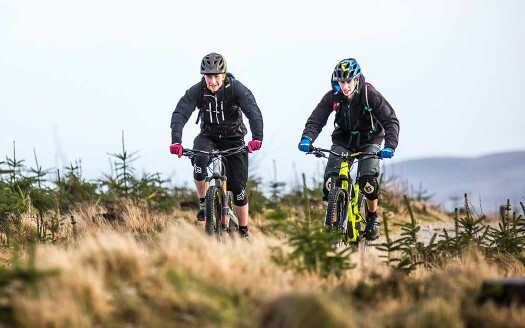 Thanks to the Ride North Wales website these can be woven into superb starter rides or epics that’ll exhaust even the most hardened weekend warriors. The trails will suit all abilities from family jaunts to epics over 80kms. 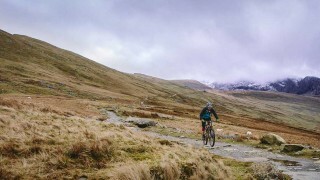 The Ride North Wales website also provides trail profiles and pioneering 3D flythroughs to allow you to make sure the trail you choose meets all your expectations. So what are you waiting for? All the hard work has been done for you, just choose a trail and we’ll see you soon. Aim for the town of Ruthin. Most of the trails start here or nearby. Clwyd Forest is situated between Mold and Ruthin off the A494. From the A55 take the A494 avoiding Mold town centre. Clwyd Forest lies to the west. Although a semi-urban route mostly on surfaced paths, this route is ideal for families. A short ride from the rural village of Cilcain onto the ridge of the impressive Clwydian Range.